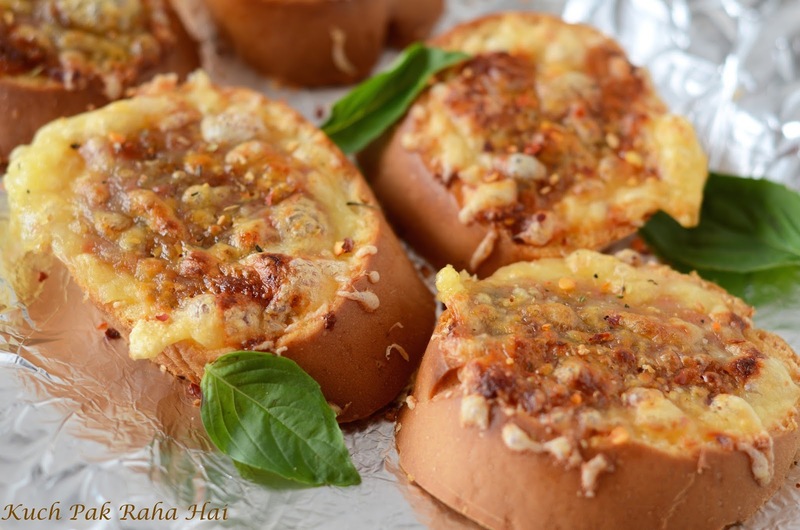 "Cheesy Garlic bread" is a sinful irresistible slice with aroma of freshly baked garlicky butter, sweet and salty notes of pesto and oodles of melted cheese. 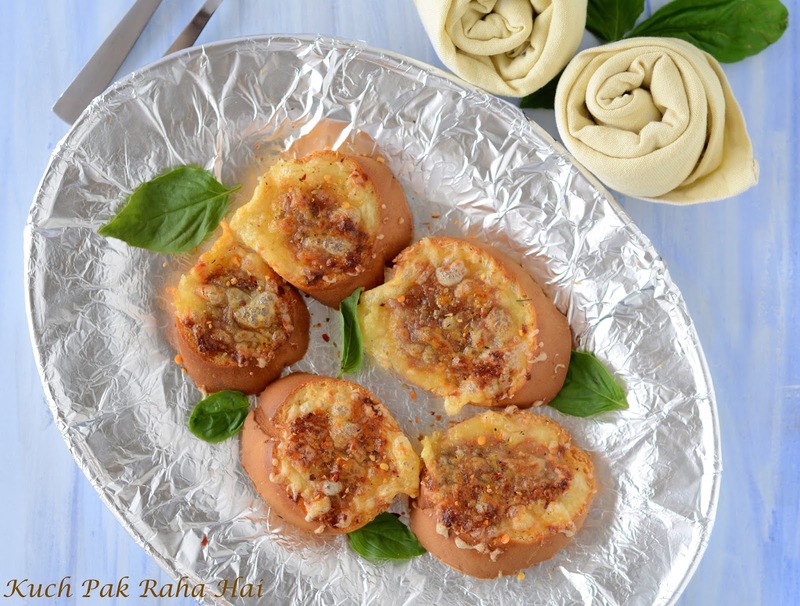 It is a delicious mouth watering recipe that can be served as a tea time snack or appetiser. You can also give this to your kids in tiffin which they will surely relish with an ear to ear smile on their faces. I am making this recipe in Air Fryer but if you don't have one your can bake them in your oven also in convection mode. This recipe is quite simple and instant. It also does not need much preparation in advance.I am going to use Sun dried Tomato Pesto on slices as topping. For Sun Dried Tomato Pesto recipe, click here. Pesto adds so much of freshness, aroma and zing to the recipe that it has now become a must for me when I am making garlic bread. I am sure you would love it also. Don't get disheartened if you don't have sun dried tomatoes or time to prepare pesto. You can replace it with pizza sauce along with your favourite veggies or you can even make these with garlic butter and mozzarella as topping. I am going to slice Soft Baguette bread into round slices for making this recipe. It gives me ample of opportunity to control the thickness of slices and somewhat replicate the look of garlic breads you get in Pizza Hut (A baguette is a long thin loaf of french bread). Add finely chopped garlic cloves to the melted butter in advance. As I am using baguette bread for my preparation, I will first cut it into thick round slices. Apply some melted butter(in which garlic cloves were added) on the bread slices. Apply a teaspoon of sun dried tomato pesto to each of the slice. Add a generous amount of grated cheese on the top of each slice. 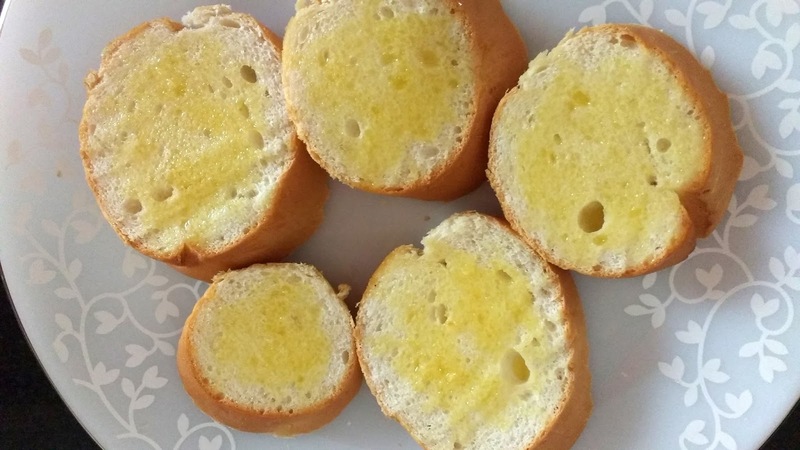 Place these bread slices in air fryer and cook them at 180 degree celsius for 6-8 minutes. If you don't have air fryer you can bake them in convection mode at 180 degrees. Garnish with some more freshly chopped basil leaves, chilli flakes and oregano!! 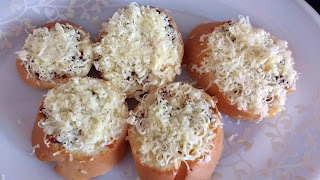 Enjoy yummy cheesy garlic bread with ketchup as snack or appetiser. Yummy :) I really love Garlic bread. 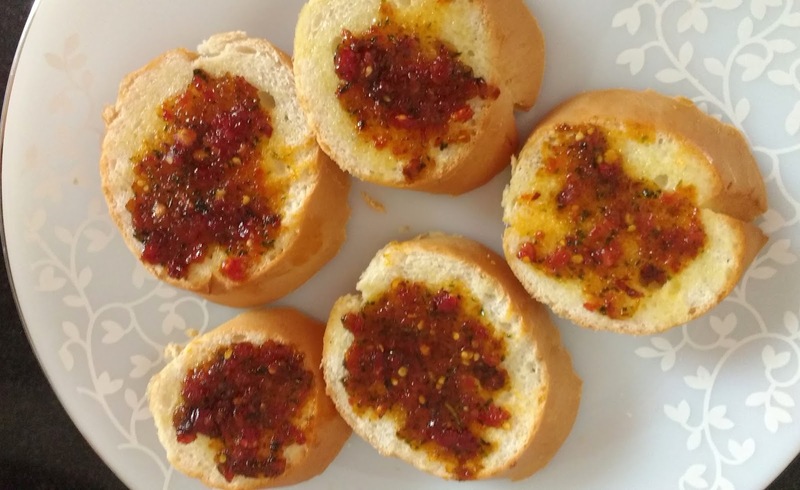 This time, I tried the recipe in my Philips Air Fryer and the bread is very crispy on the outside along with the cheese :) I have also tried a variety of dishes like Samosa, Banana Pakora, Goni Manchurians, in Air Fryers. I have listed the best Air Fryers at Kitchenarena.in Please check them out. I liked above post. Mostly I liked that pic, I thought those are really yummy food items that you have made. I will definitely try to make this at my home with my new air fryer. Visit at my site so you will also find some more cooking ideas. Amazing recipe. Thank for sharing. Garlic bread and hot coffee is the best combination ever. I always want to try garlic bread at home but i don't have microwave oven at my home. But i found alternative to microwave. This article help me to cook delicious garlic breads. Thanks again. I really love the tasty and healthy recipes. Normally I use deep fryer method before air fryer has come but after check the airfryermarket.com reviews on air fryers, I am really happy to eat oil-less recipes through air fryer. A really delicious recipe i love this recipe. I will must try this. 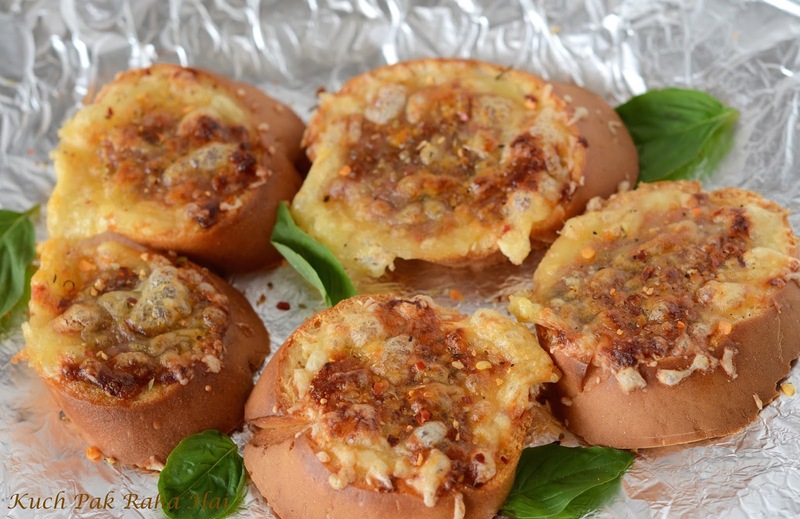 Thanks for sharing the such a great Microwave Recipe with us. Really great article and so is the recipe. Will definitely try it on my air fryer as well.